Kids and adults can use this castle so it's time for the adults to have fun! 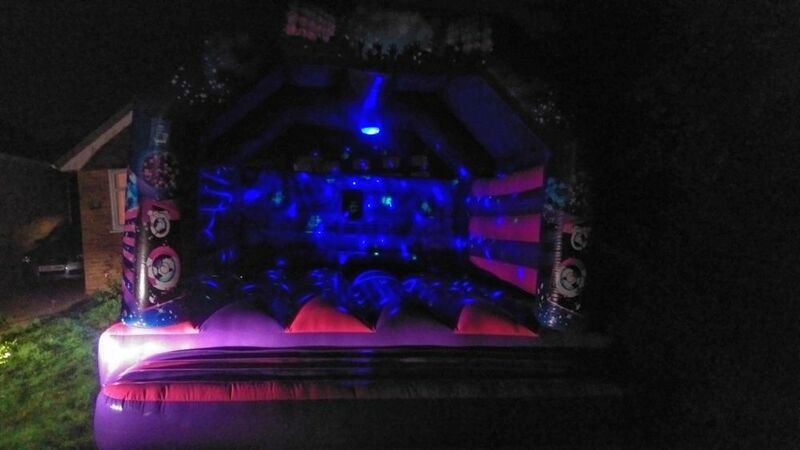 This comes with an in built speaker and disco lights so you and your friends can have a party on the bouncy castle. Please be aware Bouncy Monkeys is unable to provide music, this will need to be provided by the custome. Our speaker can connect to any blue tooth device or conect by USB ( USB stick).